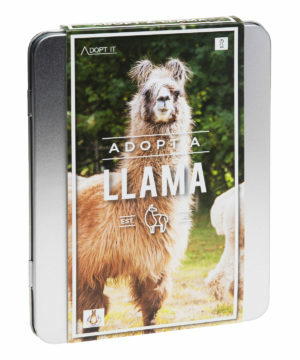 Llama Adoption Kit: Give the gift of helping llamas in need. 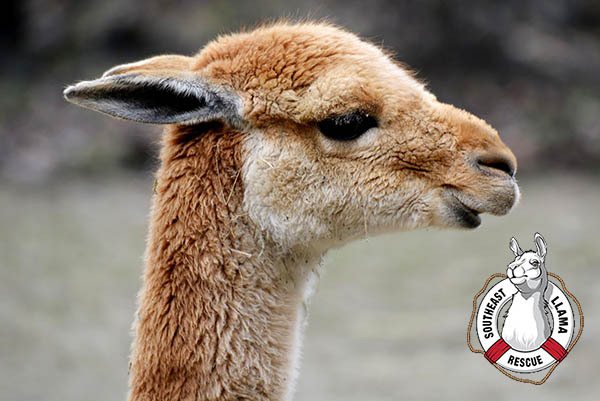 Help someone you love help animals in need when you gift a Llama Adoption Kit. Each kit you give helps support the Southeast Llama Rescue, a non-profit organization that improves the quality of life of abused and neglected llamas. Your gift helps the organization protect and care for these lovable creatures until they can be placed in permanent homes. In addition to the information sheets in the kit, your recipient will receive an activation code so they can register their virtual adoption online. They’ll then receive a personalized certificate of rescue in the mail as a year-round reminder of the good that’s been done in their name. Sometimes the best gift is the one that helps others… even if that other has four legs. The Llama Adoption Kit lets you aid creatures in need without having to turn your guest room into a stable. In addition to a year’s supply of good karma, the attractive tin also contains interesting llama-related materials. 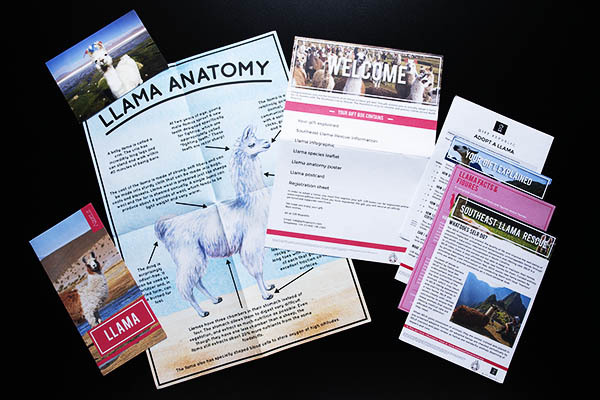 The set includes a pamphlet, leaflet, and poster of llama facts; three sheets explaining the gift in more detail (including info about the organization); directions for registering the gift; and a 4x6 picture of a particularly cute llama. Question: Do I get to name the llama? Answer: The Llama Adoption Kit doesn’t allow you to legally adopt a specific llama. Rather, it means you’re giving financial support to an organization that helps llamas who are in need of special care. Question: Is my recipient going to have to wait a while to receive their personalized certificate? 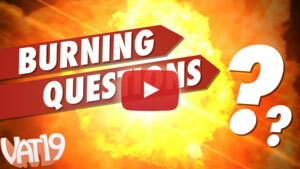 Answer: The certificate arrives within 28 days of registration.